Microplate systems are used extensively in research and diagnostics, which require quick and high-throughput analysis of the patients. They comprise of assays, readers, dispensers, and software. The other use of these microplate systems are in the maintenance of food safety. They have a great scope of applications in wide range of assays for example, the enzyme-linked immunosorbent assays, DNA/RNA quantitation, cell migration assays, and protein assays. Some of the major end-users in the market are diagnostic laboratories, biotechnology and pharmaceutical companies, hospitals, and educational institutes. The increasing demand of automated cell-based and biochemical assays among biotech firms has boosted the demand for microplate systems, as well. The rise in prevalence of chronic illnesses in several countries has propelled the demand for modern methods of diagnostics, for example microplate systems. Apart from that, the increased investment in research and development activities by various firms in biotech industry are among other important factors stoking market growth. Moreover, the preference of the device makers to focus on design innovations seem to work in favor of market development. However, the high cost of the microplate systems discourages several end users to enter in the market, or to adopt the technology. Nevertheless, the market is anticipated to benefit with the extensive thrust on research and development activities in proteomics and genomics. Additionally, the rising adoption of immunoassays in innovating various novel therapies for diseases is benefitting the microplates market too. Microplate systems consist of readers, assays, software, and dispensers and are widely used in research and diagnostics that need rapid and high-throughput analysis. They are also used in a range of diagnostic applications for maintaining food safety. They also find potential applications in a wide spectrum of assays such as DNA/RNA quantitation, the enzyme-linked immunosorbent assays, protein assays, and cell migration assays. Some of the key end users include biotechnology and pharmaceutical companies, diagnostic laboratories, hospitals, and academic institutes. The rising popularity of automated biochemical and cell-based assays among biotech players has propelled the demand for microplate systems. 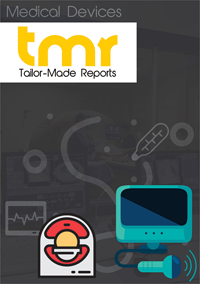 The integration of these systems with other automation technology in healthcare in numerous developing and developed countries is continuously expanding the horizon of the global market. The report offers critical assessment of key growth drivers, notable trends, technological advances, the prevailing regulatory landscape, and the strategic dynamics in various regions during the forecast period of 2017–2025. The study strives to offer insights into the current and emerging market outlook, notable opportunities, and promising avenues in various segments. The findings can help stakeholders and market participants identify imminent investment pockets. The growing prevalence of chronic diseases in various parts of the world has spurred the demand for modern diagnostics such as microplate systems. The growing number of cell-based assays and the substantially rising investment on research and development activities by companies in biotechnology sector are notable factors driving the market. The rising application of single-mode and multi-mode microplate systems in immunoassays is a noteworthy factor accentuating the market. The microplate systems market is expected to profusely benefit from the constant industry focus on miniaturization of diagnostic assays. The advent of high-throughput assays and integrated systems is a significant factor likely to aid in the rapid expansion of the overall market. The focus of device manufacturers on design innovations bodes well for the market. Rising initiatives by governments in several emerging nations to adopt advanced, automated diagnostics in healthcare systems are expected to provide a boisterous impetus to the growth of the market. Substantial advances in assays in developed countries is expected to unlock promising prospects in the microplate systems market. The high cost of microplate systems may dissuade many end users in price-sensitive markets to adopt them. However, the market will get a robust impetus from relentless research in genomics and proteomics. Furthermore, the growing role of immunoassays in discovering novel therapies for diseases augurs well for the market. The report offers elaborate insights into the market potential in various geographies by highlighting untapped opportunities and evaluating the revenue share and size. The study further assesses lucrative avenues in major regions and the key trends shaping the demand in various end-use industries. Emerging economies in developing and developed regions are expected to present promising prospects for market players to capitalize on. North America and Europe are expected to be prominent markets while Asia Pacific is anticipated to rise at an impressive pace over the forecast period. The report offers detailed business overview of key players, their major product offerings, and expected launches in the coming years. It highlights the key strategies adopted by them to gain a better foothold in the market. Device manufacturers are focusing on introducing technologically advanced products such as innovative detection equipment with higher performance. Several players are also focusing on design innovations, in a move to stay ahead of others. Prominent players operating in the microplate systems market include Lonza Group, Biochrom, Bio-Rad Laboratories, Inc., Mindray, Berthold, Thermo Fisher Scientific, Bmg Labtech, Tecan, Danaher, and BioTek Instruments, Inc.